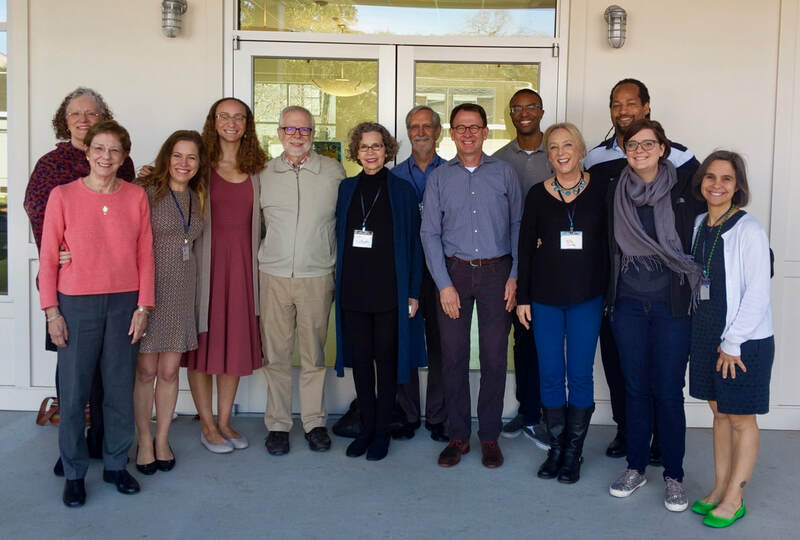 L to R: Tralee Chafetz, Ann Ince, Amy Cuellar, Charity Grannis, Rich Doty, Sally Ridgway, Clinton Gambill, Raymond Stubblefield, K. T. Tilford, Nita Lindley, Moses Mason, Jessy Uriarte, Samantha Sherman. Small group: This is an intentional, committed monthly week-night gathering of about 10 adults. Each month we explore a topic and listen to one another after sharing current concerns or celebrations. Traditional group: Weekend potluck opportunity organized for the purpose of knowing one another better and sharing thoughts on a spiritual or life topic. Meetings are four to seven times a year. Intergenerational group: Typically meet on weekends around a meal experience. Children and adults of all ages are welcome. Casual discussions and a chance to interact with members you may not otherwise see regularly. Family group: Likely to meet on weekends and perhaps at an outdoor venue. Parental camaraderie is a feature of this group with fun, casual conversation and a chance for kids to play. Individual contact – Please let us know if you would like to have a deacon, even if you prefer not to/cannot participate in a group. Contact our office via email (office@covenanthouston.org) or our form online, and ask that the head of the diaconate contact you.